This is a recipe for pumpkin and sweet potato risotto but then stuffed into capsicums. It's quite a healthy dinner and more exciting than just risotto as well as a way to incorporate capsicum into your diet. Wash and then dice your pumpkin and sweet potato up into small squares. Using a frying pan, cook your pumpkin and sweet potato squares. Slice your onion up and leave to cook in a saucepan with oil and garlic. 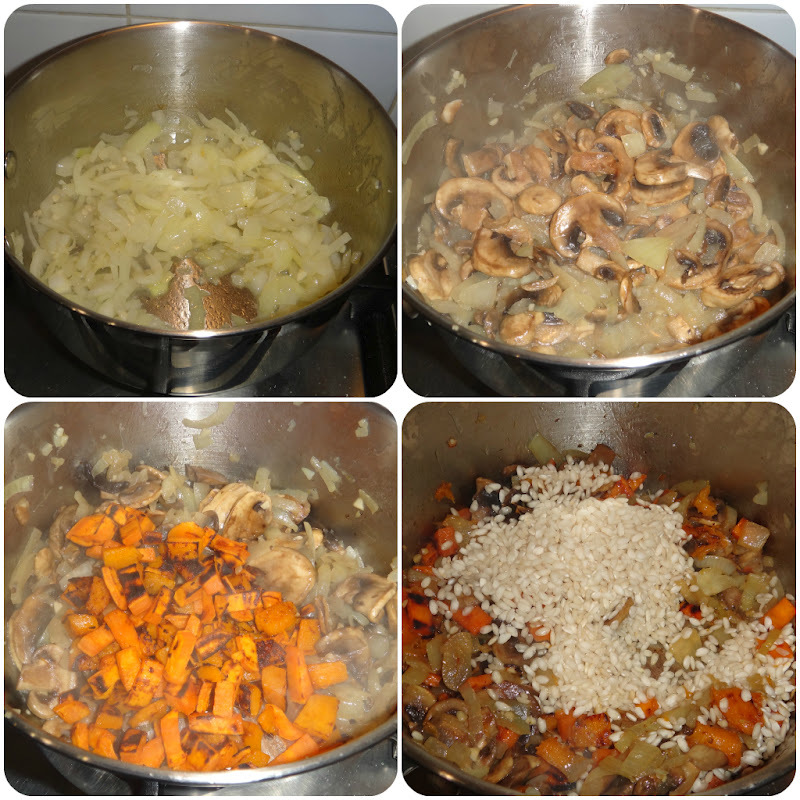 Once your onion is fully cooked you can combine the mushrooms, pumpkin/sweet potato mixture and finally the Aborio rice into the saucepan. Pour all of the stock into a smaller saucepan and leave to boil. Complete your risotto by combining your boiled stock with your rice mixture and continuously stirring until the rice absorbs all of the stock. This can take up to 15 minutes of continuous stirring. After you cut out the stems and seeds in your capsicums, you can stuff them with your risotto. Top with cheese and bake in the oven for 20-30 minutes. Thank you so much for reading this recipe, I hope you try it out!